Maurice and Earth Wind & Fire have been such an inspiration to me. I am now 20 years of age and have been listening to their music for my entire life. I believe that the world would be a much different, less happy place without their music and I am eternally grateful for having had the opportunity to be touched by their beautiful words and melodies. Maurice lives on in the hearts of so many and in the music he and the rest of EWF has created. Rest in peace, Maurice. Temple University 1973. The black students had their own concert, because the school had Tom Rush. Who the heck was Tom Rush? We had EWF! They started the concert and somewhere in the middle, the sound system went out. Maurice complained very briefly and then lead the group into the audience and we JAMMED. How talented this man was. Drummer for the Impressions and Ramsey Lewis and all the great music he made through the decades with EWF and others. There are no bands left anymore. Goodbye Maurice. You will be missed but never, never forgotten. First of all, my condolences go out to the family of Maurice White. May God continuously bless you and keep you in your time of bereavement. I am a HUGE fan of Earth, Wind, and Fire. My dad is an EWF fanatic and he owned all of their albums. I like to describe myself as an “EWF baby” because I’ve been listening to Earth, Wind, and Fire since birth. I have always admired and have been amazed at the musicianship and talent of EWF. Steve Harvey said it best when he mentioned that all bands of HBCU’s (Historically Black College and University) have played EWF songs. Southern University’s marching band definitely have played a plethora of EWF songs since EWF came out. You couldn’t go to a Southern University football game without our band playing at least two or three songs by EWF. We will miss you Maurice White. You really had a huge impact on the world of music. Many years has passed… to this sad day. Still we walk in a path that leads to the light. Maurice, I’ve found a friend and everlasting love in you and EW&F. Since my childhood, me and my brothers grew up with your music. The spirit of your lyrics and the sound of EW&F is unique. Thank U very much for being a part of my emotional life. If I want to feel at home, I listen to your music and I sing with you. Your spirit will always be one. Thank you, Dank je wel, Merci !!! Always alive in my heart, my veins and my soul. Maurice White is a symbol, a true hero. Now born in a new world named Heaven. Dear family White & friends, just celebrate and bring him home…..Dance Dance Dance. Mi vida musical siempre ha estado y estara unida al color BLANCO , poque contigo Maurice y con Barry , he disfrutado tanto , tanto , tanto. Since early 70s I was captured for that magic sound of your music, that feeling of brotherhood, friendship and gratitude with what is giving from that almighty force from right above will be ringing in my ears how the way of the world should be… thank you Reese. In the dark days of apartheid South Africa there was some light even for us privileged young white kids (who didn’t like rock, punk, metal etc.). Many of those rays came to us from Earth Wind & Fire. It started with Let’s Groove and hasn’t stopped. To this day September is still a beacon that shines light on my youth, connects me to my friends and brighten the future. Thank you Maurice, for being such an important and positive influence in my life with this great music. Maurice’s vision and founding plateau of Earth Wind and Fire was the unity of all races. Though there weren’t too many of any color who could deny Motown, it was EW&T that got the big universal party started. When a party, dance, or night club erupted into Shining Star… it was on! .. and all us honkies suddenly had no clue we were white. ;-D We were breakin’ it down! It still happens at Class Reunions. We go nuts with our brothers and sisters. You brought the light, Maurice. We absorbed it. And, now we deflect it back to you. Shine on, brother. Shine on. EWF-Your contribution to HBCU Bands and bands in general will never be surpassed. 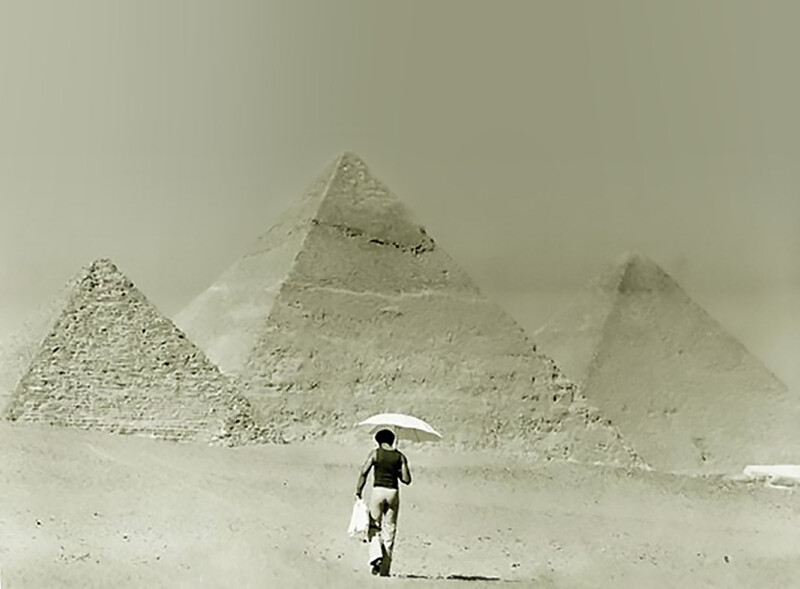 Maurice White is my fathers ultimate idol. I grew up listening to groups like EWF and Chicago and these bands became my childhood. I cannot hear an EWF song and not think of my father, who means more than anything to me in the world. Maurice is a legend in the music world, but he’s also a legend in so many of our hearts. Without his vision for EWF, I don’t know how I would look back on the happy moments in my childhood. EWF is one of the greatest groups in the history of Rock & Roll and I can’t ever fully express how important the music has been in my life and in my family. Rest in peace Maurice and my warmest well wishes to the family and those close to Maurice. I grew with EW&F music since I was a teenager. The sound, music and soul of your band led by Maurice made me feel good. I had the opportunity to attend your concert in Valencia -Spain- in 1998. And despite you were not there, Maurice, your presence was in the air. It was gorgeous, impressive, fantastic. My son was 2 at that time, so my wife stood at home taking care of him. However, the band came back in 2014 to Valencia and then the family went together. It was an experience for my son he will have in his mind for all his life. Again we were not seeing you in stage; but you were in our minds and souls. We will pray for you. Our condolences to the family. Rest in Peace. I have loved music thanks to you. The first time I heard you , i had 10 y, today i have 35 y and my son which has 9 dance on it like me before. Ooo my gosh, I grooved on the dance floor as never. Maurice, the very soul of EWF, and the love the poured from his very lyrics, shined a bright light on all who have ever heard a song from a very deep catalog. The words did not fall on deaf ears, many of us sing each song, word for word, to this very day. He will be missed. Thanks you for all the great songs. I grew up with your music and I’m only 13 years old. You will always be alive in your music. Your songs were songs that the deaf could hear and your performance was a performance that the blind could see and enjoy. Thank you for all of the words spoken, gifts given and positive vibes shared. The music will carry your legacy for generations. So many times I listened to Earth, Wind & Fire to calm me down and escape from everything that was wrong around me. Now, my eyes are opened, I can see the way they feel on their face, and I will never be alone. True love is written in the stone. Your spirit will carry on forever. We will never forget you and we will see you again someday. Bless you brother. My music god Maurice White passed away. I am really loving his music since 9 years old. His works always made me happy. He gave to me all joys of music. Hey Maurice, You are the Shining Star forever. Thank you so much !!!. I was a 17 year old confused almost suicidal young man. A friend introduced me to yoru music. I was hooked. The pure unaldulterated joy compared with the depressive lyrics of other artists lifyed me. I owe you a great deal. thank you for the sharing and giving of your spirit and gifts that brought beauty to this world. Thanks for your music. Rest in peace. From Spain, I’ll always sing your melodies, I’ll never stop growing up with EWF, I’ll never forget you. His discretion and his modesty was as big as his talent. His music is a part of my life (I was 7 when my parents put the “Spirit” cassette into our car and “Rock that !” has its place at my wedding… plus the “Avatar” melody from “In the name of love” lp was there to help me “When love goes wrong”…). Thank you Maurice for your Genius, your music, your messages of love and peace. The tears are slowly coming while I’m writing down these words. May you rest in peace. I think about Verdine, the White family and all the EWF family and want to tell them that my thoughts and prayers are with them all. Thank you Maurice. Thank you. May you rest in peace. Tu huella se esparce a través de las generaciones, mi hijo de 14 años, y que es 37 años menor que yo, oye tus canciones a diario y las lleva consigo siempre, ese es tu legado y tu mayor gloria …..
Earth, Wind & Fire has been my favorite group for some 40 odd years. I finally got to see the group in concert for the first time in 2015. Without Maurice, there would not have been a Earth, Wind & Fire. I will pray for those in the White family that lost a loved one. May God give you a peace that defies understanding in this troubled time. J’ai découvert la musique d’Earth Wind & Fire il y’a vingt cinq ans. Maurice, c’est une partie de ma jeunesse. Cette pèche, ce sourire, ce charisme et cette voix… Ce rythme… Tout cela, en vérité ne peut disparaître. Et dans la pierre. Pour toujours. La scomparsa di Maurice White mi rattrista molto: con gli Earth Wind & Fire mi ha regalato e continua a regalarmi emozioni fortissime ed indimenticabili che solo i geni sanno regalare. Sono un vostro fan sfegatato cresciuto ascoltando la vostra straordinaria musica che ha influenzato intere generazioni . La tua stella luminosa brillerà nel cielo , la vostra musica rimarrà scolpita nella mia mente e nel mio cuore. R.I.P. One of the best story tellers of my life. His musicality with EW&F makes up the soundtrack of most of my life. Two notes and I know the song and immediately turn it up. It is a part of the happiest memories and feelings that I have. You will be missed RIP Maurice. Listening to Maurice has made me smile, dance and sing for 40 years. Today it made me cry. Maurice, as well as the rest of EW&F, remain the most influential musicians in my life almost 50 years after having first heard him. I am sad he has left us yet happy he has moved on to peaceful eternal rest. I cannot thank you enough for the opportunity I had to delight and marvel in your unparalleled musical gifts. You will continue to live on each time someone plays Boogie Wonderland. R.I.P. Having EWF with Maurice White as a part of my teenage years was so very special to me. This music defines and led an entire generation. When I listened to it. I heard more than a dance beat. Eternal spiritual truth was broken down for me to absorb into my soul. Their music gave me hope for a better tomorrow and strength for the battles that would come to me in life. To say I was blessed by this music would be an understatement. God bless, RIP Maurice, EWF, a whole generation mourns this loss with you. Prayers for Maurice’s family and friends. Thanks for the wonderful music you made, the inclusive lyrics you wrote and the uplifting spirit in it all: there’s is a million ways to shine, yours was very powerful and goes on and on and on …. Maurice White created music for the soul that uplifted and inspired a generation. ‘You’re a shining star no matter who you are shining bright to see what you can truly be’…those lyrics and others sung over that awesome melodies and the beautiful harmonies literally changed my life. I was a teenager when EWF hit the scene and I needed to hear how all you had to do was Keep Your Head to the Sky. And the live shows which I saw every time you guys came to MSG in New York, were spectacular and gave me memories that will last forever. Thank you for sharing your awesome talents with us and leaving a legacy of positive beautiful music for us to listen to forever. May you rest in Paradise my brother. I know the Creator is saying well done my good and faithful son. Your projection of inner peace has been an inspiration for me for as long as i can remember. I 1st got introduced to EWF by my brother and have never stopped listening to your music since. For the last 9 years i’ve been passing your songs onto my children and they know exactly what i’m feeling depending on what EWF song i’m listening too. RIP MR WHITE. May the Angels in heaven have lots of fun grooving to your voice. I first saw EWF in concert in Ahoy Rotterdam in 1975 opening up for Santana , i was seventeen years old and that eveving i will always remember EWF were fantastic and i have been a fan ever since. That’s the way of the world is one of the greatest songs of all time and makes me cry every time i listen to it .Thank you Mr White for all those positive songs and therefore positive moments in my life . We will pass your music on to the next generation , your spirit lives on through your music. No mere words could efify the deep sentiments evoked by the glorious talent that God gifted unto this man. I take pride in having lived a youth touched by such a man. Earth wind &fire music everyday.today I listen your music.tomorrow I will listen your music. Thank you Maurixe White. Your spirit always with me. I first discovered the music of EW&F as a 14 year old back in 1977. Since then it has been a huge part of my life. I was lucky enough to see Maurice and the band in 1982 and to meet Verdine, Ralph and Philip in 1999. Maurice was truly a special person, his vision was way ahead of it’s time and the music means so much. The love and spiritual message he gave was something understood by the true fans. The music sounds as fresh today as it did all those years ago and will continue to do so into the future. This has been a very sad day but his legacy will continue for ever. You have been an inspiration Maurice, and my heart goes out to his family, fellow musicians, and all the fans. Sometimes thank you doesn’t seem enough, but I feel blessed to be able to appreciate the work of a truly great man.